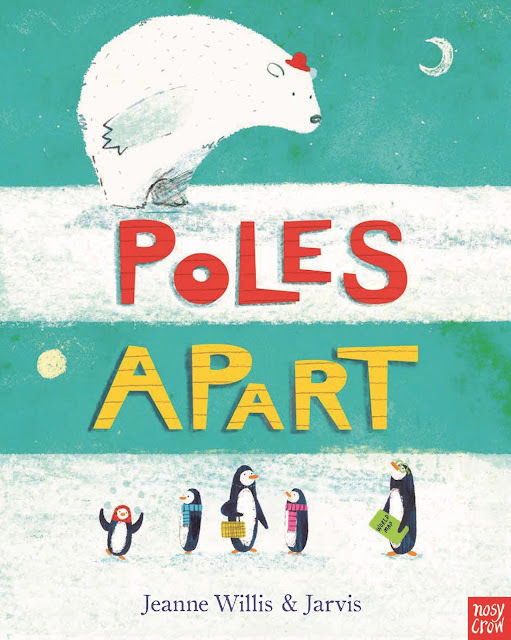 Poles Apart by Jeanne Willis with illustrations by Jarvis is a superb picture book that I especially value because, after reading, I will never mix up the poles that penguins and polar bears live at again! 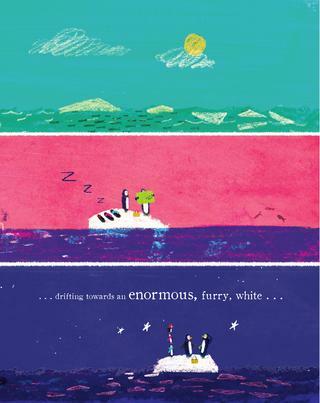 Armed with a map of the world and plans for a picnic, the Pilchard-Browns, Mr. and Mrs. and the young Peeky, Poots and Pog, find themselves some 12,430 miles off course at the North Pole. Fortunately, the adventurous Mr. White and his positive mindset is there to help. 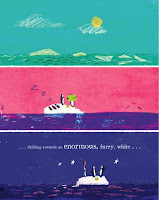 After all, Mr. White has "often dreamed of being the first polar bear to reach the South Pole." 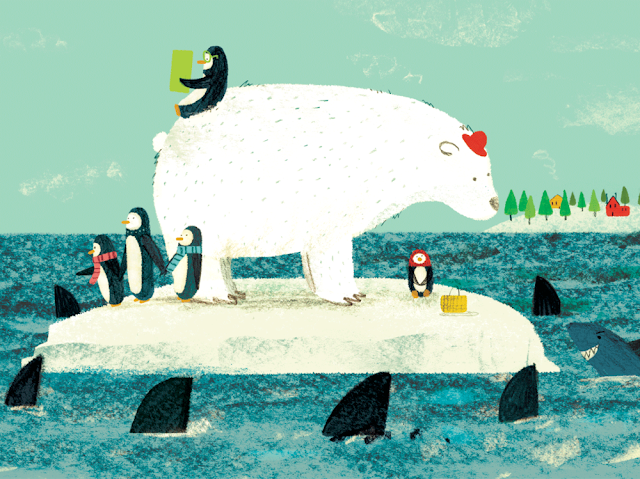 Donning his red bowler cap and hopping on an iceberg, the polar bear and the penguins set off. 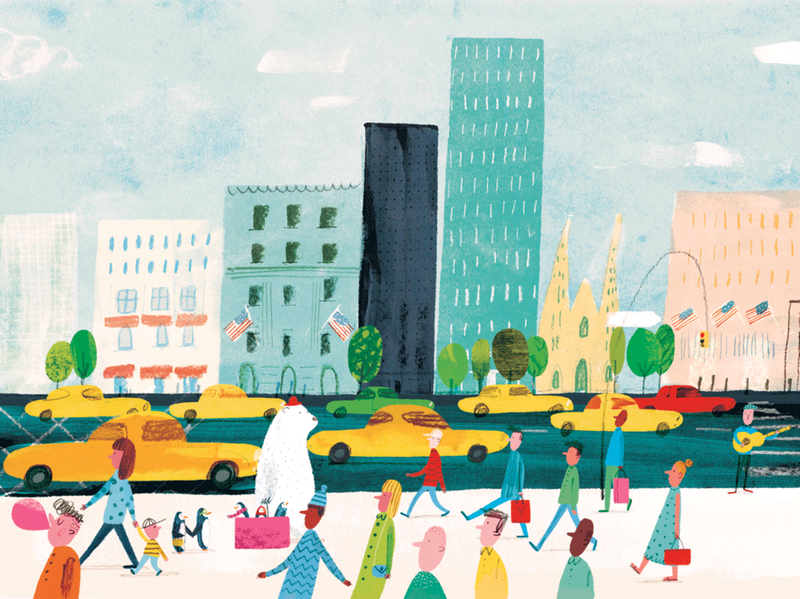 From the bustling streets of the United States to the rainy grey of England to the sunny glow of Italy, the crew travel on, lead by Mr. White, partaking of the culture of every country they cross. 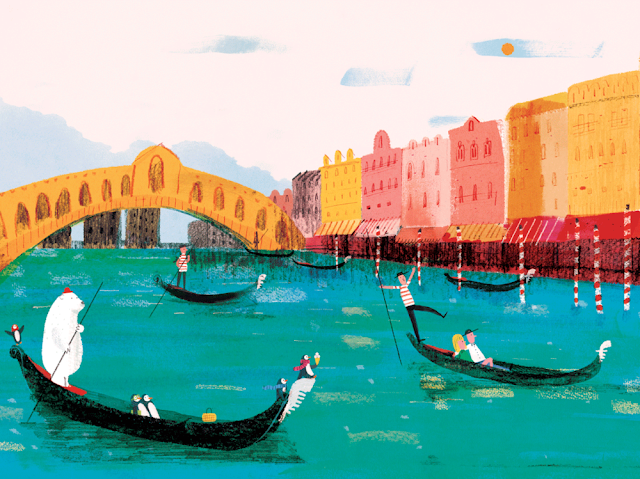 In India, with Mr. White pulling the penguin family in a rickshaw, Mr. Pilchard-Brown exclaims, "Namaste!," while Mrs. Pilchard-Brown instructs Pog to, "put the python down, dear." Australia was "bonzer," and the South Pole was almost in sight. Peeky, Poots and Pog all beg Mr. White to stay for the picnic but, "it wasn't his home. He was a polar bear, and polar bears live at the North Pole." Back home, Mr. White is thrilled that he had a fantastic adventure, happy to be back home and missing his new friends just a little. Happily, Pogs tucked something very special inside Mr. White's red bowler hat, ensuring a return visit from the Pilchard-Browns in the very near future!